Business valuations: Valuation involves advising on valuation of business, company, share and asset, both for commercial and statutory purposes. Valuations assignments may be conducted alongside other services such as tax and regulatory, forensic and financial reporting. Our valuation services are broadly offered during restructuring/purchase/sale/litigation and regulatory compliance by RBI under FEMA regulations. Our services, with regard to above, include: Valuation of shareholders’ fund and per share valuation, Business valuation, equity valuation and fixed asset valuations. Tax Deduction at Sources: Compliance's with Indian withholding tax requirements- including monthly compiling of TDS from clients records, timely deposit of taxes, filing of quarterly e-TDS returns and Issuance of Annual certificates to Vendors. FEMA Consultancy Services: Our organization is capable of providing a vast spectrum of consultancy services such as FEMA Consultancy Services specifically applicable for foreign investment in India. Due to our vast experience in this domain, we have carved a distinct niche in the market as the reliable FEMA Consultancy. These services include setting up subsidiaries of foreign companies in India along with FEMA / RBI compliance for inbound and outbound investments. Mergers and Acquisitions: The need for business and financial restructuring and increased competition among domestic and global conglomerates has acted as a catalyst to spur Mergers & Acquisitions activity in India. We advise organisations on Corporate and business restructuring involving business consolidations and/or divestment for value accretion, unlocking value and future fund raising. Group restructuring including form of corporate organization (corporate, limited liability partnership, partnership), shareholding rationalization and family arrangement, Capital and financial structuring for balance-sheet management, fund raising, exit strategy, cash repatriations and business tax planning, Domestic and cross border business and / or corporate acquisition strategy involving valuations, due diligence (financial, tax and legal), negotiations financing and related documentation support. 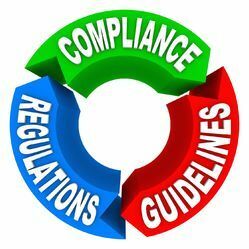 Looking for Regulatory Compliance Services ?